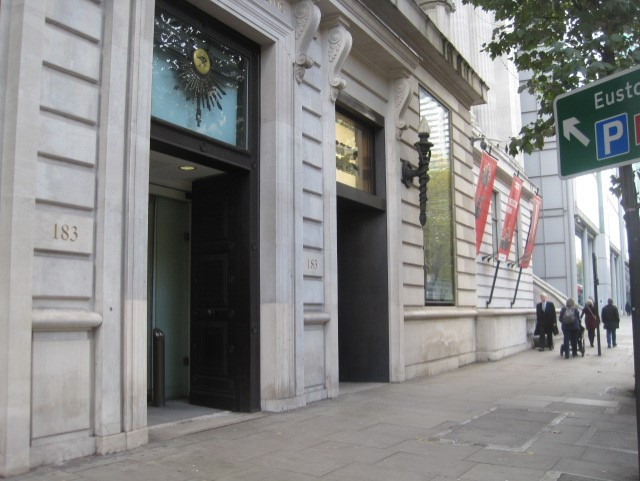 In January, we meet to draw at the Wellcome Collection, at 183 Euston Road. The Wellcome Collection offers exhibitions on science and medicine, and there is an extraordinary collection of objects related to the history of medicine of different cultures. The day is free of charge, no need to book, just turn up with your art kit. Please use only dry media such as pencil when drawing inside the Collection. 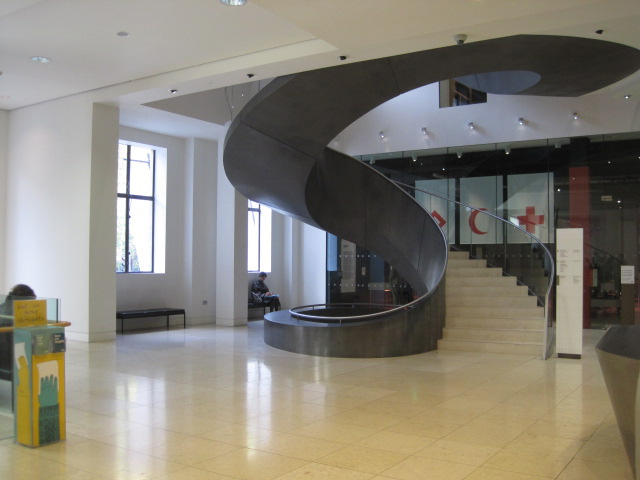 11am: Meet in the Level 0 foyer between the main front door and the spiral staircase. 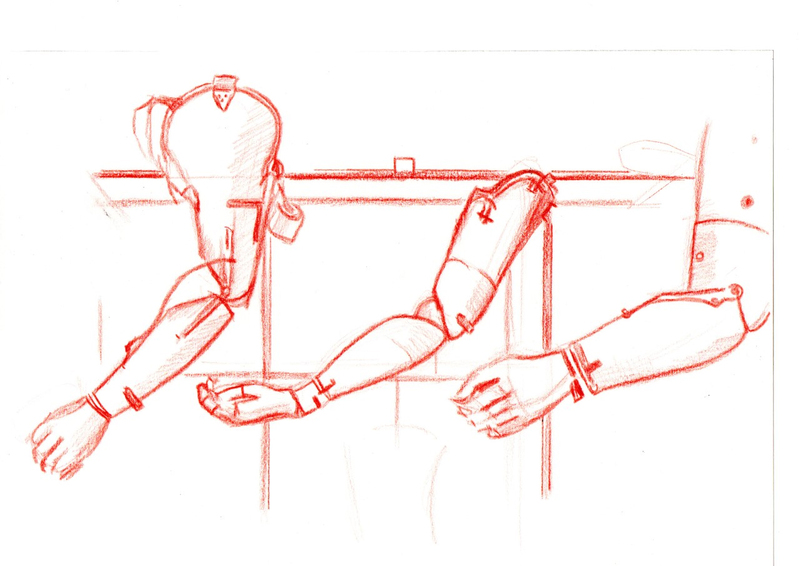 1pm: Meet again in the Level 0 foyer to look at drawings done in the morning. 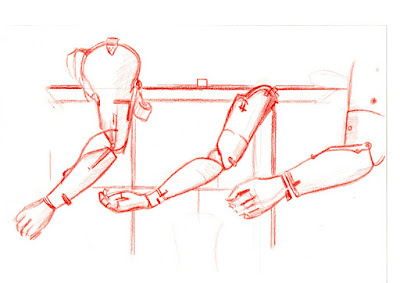 3.30pm: Meet in the Level 0 foyer to review the day’s drawings and take group photographs. 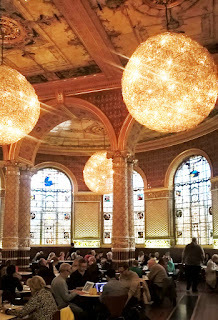 We could continue to meet and talk in the Wellcome Collection café, or if people prefer a pub, the Royal George is next to Euston Station on the junction of Euston Square and Eversholt Street. This day is run by Jo Dungey and Cathryn Worrell. The Wellcome Collection was founded by Sir Henry Wellcome, a pioneer of the pharmaceutical industry, to encourage understanding of science and medicine, and to house his collection of artefacts related to the history of medicine. The Wellcome Collection has a wide range of options for drawing, including exhibits on current scientific issues, displays from the history of medicine world-wide, artworks old and new related to the body, and a new temporary exhibition about Ayurvedic medicine. Don’t miss the displays in the Reading Room on Level 2, and the Picasso mural just outside. We could also draw the interiors and the visitors. If anyone wants to draw out of doors, one option is to walk down Gower Street, which has some varied University of London buildings, or walk down Gordon Street to Gordon Square, where there are former homes of many of the Bloomsbury Group. 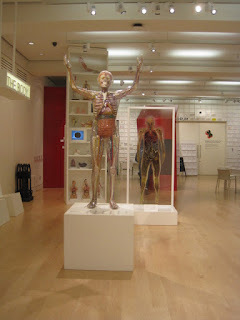 Admission to the Wellcome Collection is free. On Saturdays the galleries are open from 10am to 6pm. 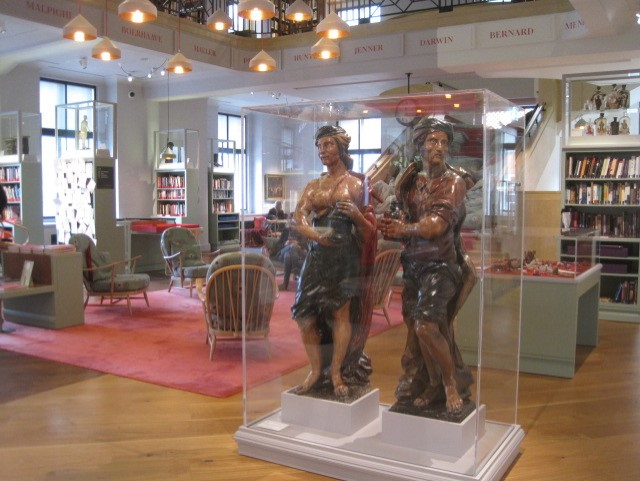 The Wellcome Collection has two cafes, a shop, a cloakroom with lockers, and toilets. 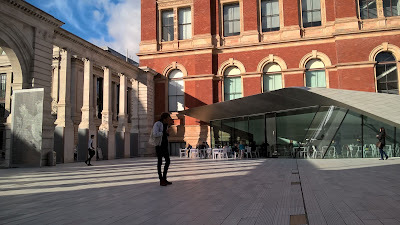 There are some stools and seating provided in the galleries. There are other cafes and food shops around Euston station. [By John Webb] Went with a handful of fellow painters on Saturday morning to a pub near Raynes Park Station. Most remained inside but have always been struck by the shapes and signeage by the arch under the off-set platforms. Stations are hugely sketchable - although one colleague commented that I had managed to make an interesting subject even out of Raynes Park Station! Generally by dint of location there's interesting history too. During his lifetime Edward Rayne sold strips of land to the Nine Elms, Southampton Railway Company and the Wimbledon Dorking line. Stations were opened at Wimbledon and Maiden, which Edward enthusiastically made use of. However, this station was not built until the estate had been sold. The adoption of the Rayne name being most likely due to Edward’s co-operative and enthusiastic approach to the lines when they were built. Moved as I was by the museum's collection, I drew outside: firstly (top image) in the Tibetan Peace Garden in the museum's grounds, opened by the Dalai Lama in 1999, and then the grippingly brutalist Lambeth Towers nearby (below). Thanks to Isabel Carmona and John Swanson for organising the day at the museum, and to Jo Dungey and Lis Watkins in particular for getting the 2018 events planned. I can recommend following the #uskglobal24hrsketchwalk thread on Instagram to see how far and wide USk has spread. It's quite a moving journey. Draw London with us in 2018. This programme of events is provisional - each month details will be posted on this blog about the next month’s event. This will give information about the location, including where and when to meet. These events are free of charge and there is no need to book. Just turn up and bring your own drawing kit. 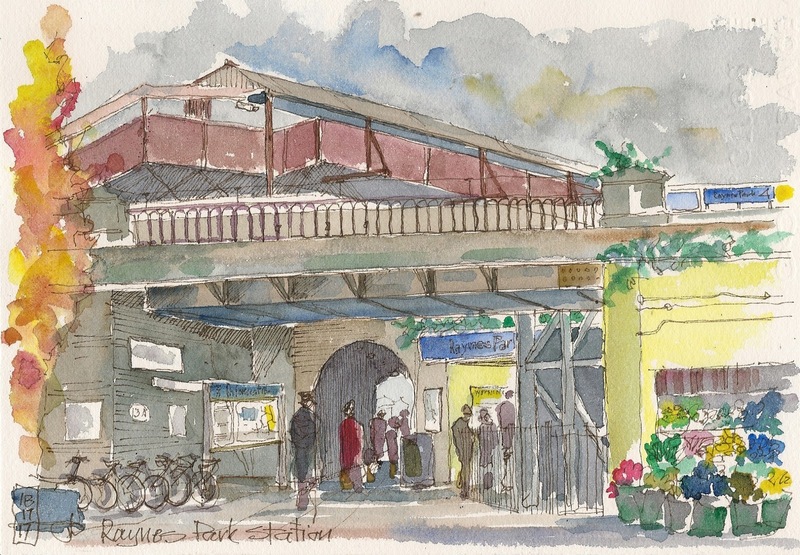 The Urban Sketchers London sketchcrawl programme is co-ordinated by Jo Dungey and Lis Watkins. In January we meet to draw at the Wellcome Collection on Euston Road. The Wellcome Collection offers permanent and temporary exhibitions. Imaginative exhibits present ideas about science and medicine, and there is an extraordinary collection of objects related to the history of medicine of different cultures. In March we spend a day drawing based around Leadenhall Market in the City of London. The area offers contrasts between the Victorian market building and the modern financial district including the Lloyds building. It is also near historic churches and the garden of St Dunstan-in-the-East. This month we explore Walthamstow. Originally a medieval village, parts of this still survive, including the thirteenth century parish church and churchyard, almshouses, and a local history museum. There is a dramatic art déco town hall and William Morris' house, now a museum, with a lively park behind it. Walthamstow has the longest outdoor street market in Europe, and the covered Wood Street Market, described as a 'hidden gem'. In May we are in east London at Three Mills Island. This is a unique site to draw London’s industrial past. Clock Mill and Town Mill (1776) were formerly tidal mills on the River Lea. Abbey Mills Pumping Station is more ornate, designed in 1865 by Joseph Bazalgette. Also close by are the Bow Locks between the River Lea and the River Lee (sic) Navigation canal, with striking waterway and industrial views. There are canalside walks and panoramic views towards the Olympic Park and the current redevelopment of this part of east London. This month we are by the river at Twickenham. Twickenham's riverside offers an eclectic miscellany for sketchers. This includes boats, Eel Pie Island, the York House Italian Sculptures, quirky old side streets, waterside pubs, and nearby Marble Hill House and the recently restored Turner's country home. Meeting point: 6pm next to the Golden Hinde, a full-size replica of the 16th century galleon of Sir Francis Drake, next to the Old Thameside Inn, and at 8pm at the same place. The Golden Hinde is at St Mary Overie Dock, Cathedral Street, SE1. As well as drawing the Golden Hinde, we can draw river views, Southwark Cathedral, the ruins of Winchester Palace, and the small shops and streets around Borough Market. If it is wet, we can draw inside nearby pubs and cafes or under the canopies of Borough Market, and finish up at the Old Thameside Inn. Meeting point: 6pm at Flat Iron Square, Bankside, off Union Street, and at 8pm at the same place. Flat Iron Square is a new ‘foodie hub’ in Bankside. It is at the junction of Union Street, O’Meara Street and Southwark Street. Having redeveloped seven old railway arches, it has restaurants, bars, street food trucks and sometimes live music. Draw the people and buildings, including the old railway arches, and the nearby old shops, buildings and bridges in this mixed but historic area. If it is wet, there is plenty of cover and interior spaces at Flat Iron Square. We meet to draw at St Katharine Docks, a marina just to the east of Tower Bridge. This day offers the boats and buildings of the marina, and river views towards the City and Tower Bridge, across the river to the former warehouses of Shad Thames, or east towards Canary Wharf. Meeting point: 6pm at Gabriel’s Wharf, near the central canopy, and at 8pm at the same place. Gabriel’s Wharf, Upper Ground, is an open area just back from the river between the National Theatre and the OXO Tower building. It has small shops, galleries, restaurants and cafes, which we can draw. 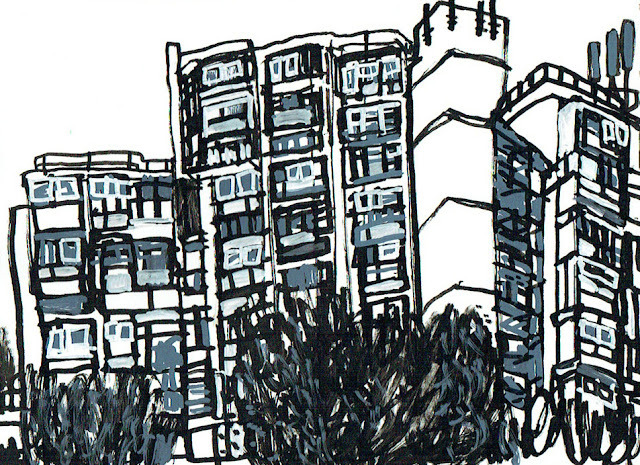 Other options for drawing are river views from the nearby jetties, and the OXO Tower buildings. If wet, we can draw inside the National Theatre or inside pubs and cafes. In August we visit Chiswick House, a Palladian villa set in beautiful grounds. The house was designed by Lord Burlington with the aid of William Kent. Kent also designed the gardens, one of the earliest examples of the English landscape garden, which offer classical vistas, ponds, fountains and an eighteenth-century wilderness. This month we are in central London to draw Soho. Soho has long been an important centre for artists and writers, for media and theatre. Draw this rapidly changing area, including Theatreland and Chinatown. 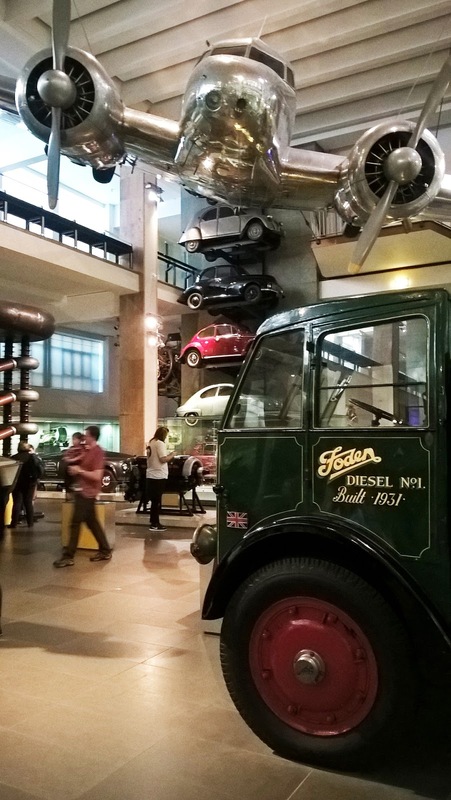 In November, we are at the National Army Museum, Chelsea. This recently redeveloped museum has historic collections including uniforms, military equipment and vehicles. It is next to the Chelsea Hospital, designed by Sir Christopher Wren as the home for the Chelsea Pensioners. Although the Chelsea Hospital building is not open at the weekend, it can be seen and drawn from the lawns of the Chelsea Embankment next to the river. We visit Bloomsbury and the British Museum this month. As well as drawing the treasures of the British Museum, and its building, there could be an option to discover smaller museums in the area, the Petrie Museum of Egyptian Archaeology and the Grant Museum of Zoology. There will be an opportunity to explore the historic squares and streets of Bloomsbury. 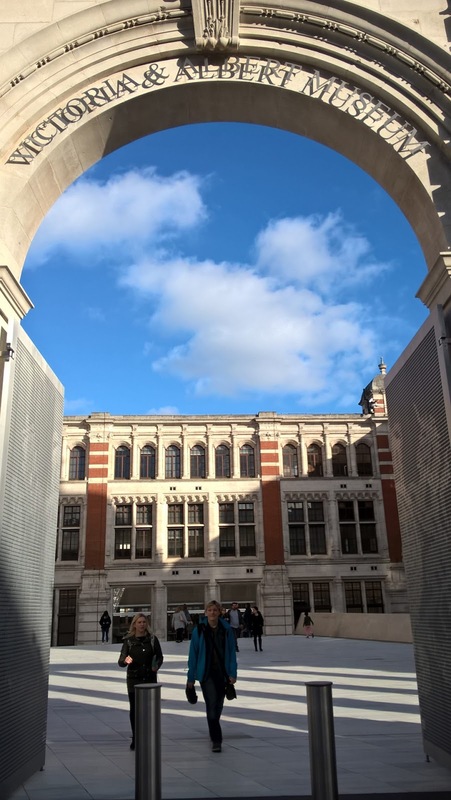 For the last sketchcrawl of 2017, we will be drawing in South Kensington, home to the Victoria and Albert Museum, the Science Museum and the Natural History Museum. 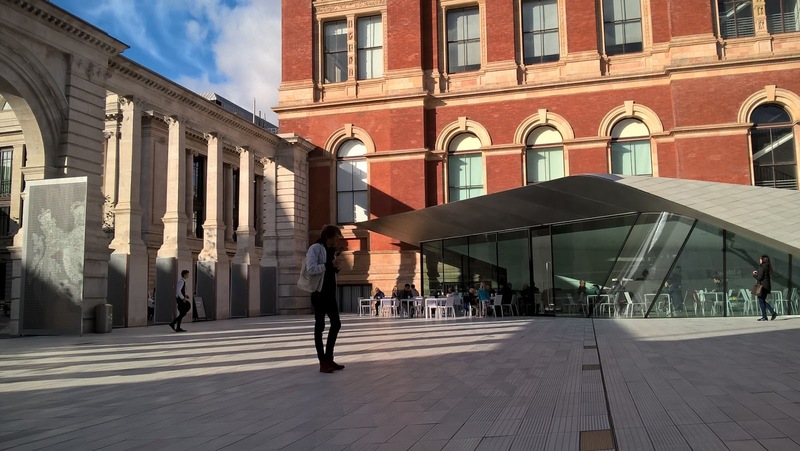 11 am - Meet at the entrance to the new Sackler Wing of the Victoria and Albert Museum. 1 pm - Meet at the same spot to look at sketchbooks. 3.30 pm – Meet back at the same spot to look at the day’s work and take a group photo. If you would like to stay for a while and chat, we will then move to the nearby Courtyard Café in the Exhibition Road Quarter. 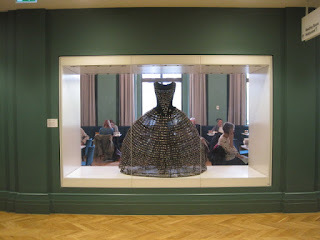 Victoria and Albert Museum - Architecture, furniture, fashion, textiles, sculpture, jewellery, glass and ceramics. Science Museum - Rockets, cars, aircraft, machinery and computers. 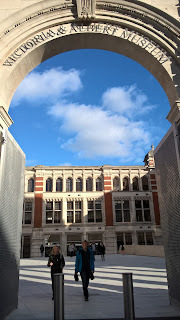 Natural History Museum - Fossils, bones, animal specimens, architecture, outside ice rink. The nearest tube station is South Kensington and there are a number of buses which stop nearby. All the museums have cafés and toilet, and there are more places to eat in the area close to South Kensington tube.